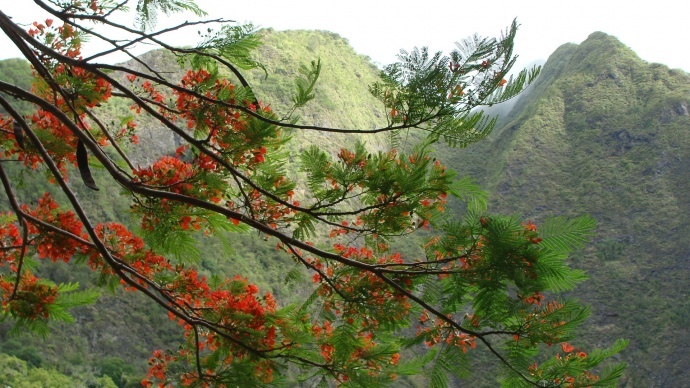 ‘Iao Valley photo by Wendy Osher. On Maui, the State Division of Forestry and Wildlife reopened the Kula Forest Reserve and Makawao Forest Reserve on Tuesday afternoon, July 30, 2013. State DLNR officials also announced the opening of: ʻĪao Valley State Monument Park and Mākena State Park on Tuesday morning. Today, authorities said Waiʻānapanapa State Park and Polipoli State Park are also open. 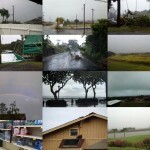 The closures were implemented on Monday, July 29, in anticipation of the expected impacts of Tropical Depression Flossie. Haleakalā National Park reopened at 9 a.m. on Tuesday morning after receiving minimal damage from Flossie, according to park officials. Crews will work today to clear roads and trails of minor rock and tree debris, resulting in occasional short delays for visitors, park officials said. In addition, the storm resulted in a one-day delay on park accessibility improvements at the Headquarters Visitor Center passenger car parking lot. Officials with the state Department of Land and Natural Resources said that following a morning assessment of conditions authorities reopened both ʻĪao Valley State Monument Park and Mākena State Park (except the black sand beach area access road remains closed). 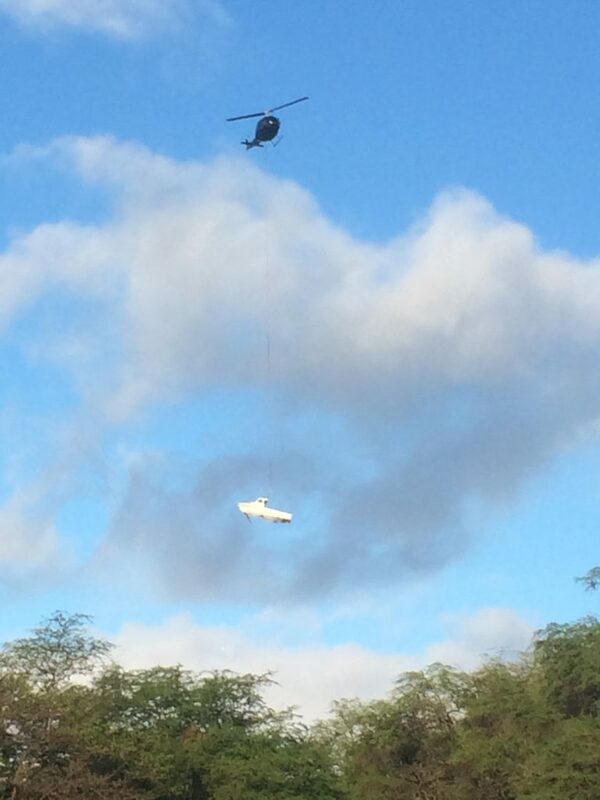 Both the Kula and Makawao Forest Reserves were reopened on Tuesday afternoon, July 30, 2013. Several state facilities remain closed pending further assessment of conditions following high winds and heavy rain caused by Flossie. Waiʻānapanapa State Park in East Maui remained closed. 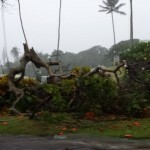 DLNR officials say an assessment found fallen trees, branches, and debris that needs to be cleaned up prior to re-opening. 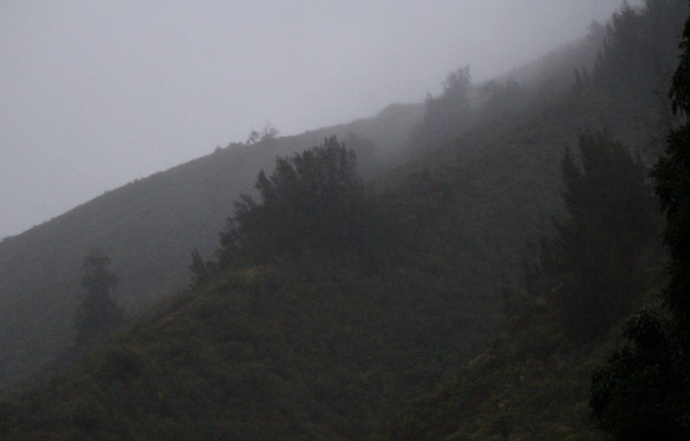 At last report, the area remained without electricity, affecting the Waiʻānapanapa cabins. The road to Polipoli State Park also remains closed due to saturated conditions and potential for falling trees. DLNR officials say the area will remain closed until a determination is made that the road is once again passable. The black sand beach portion of Mākena State Park was also closed at last report. All county facilities were due to reopen on Tuesday morning, July 30, 2013.